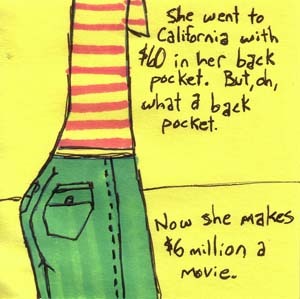 "She went to California with $60 in her back pocket. But, oh, what a back pocket. Now she makes $6 million a movie."